Paklan­d Cement was establ­ished in 1980 by Tariq’s father Senato­r Mohsin. Before stock investors began their love affair with DG Khan, Maple Leaf and Lucky, there was an entity called the Pakland Cement. Mian Mansha, Sayeed Saigol and Ali Tabba were preceded by Tariq Mohsin Siddiqui. The corporate world in Pakistan seems to have forgotten about Tariq who passed away in 2009 but, little over a decade ago, he as the chairman and chief executive officer (CEO) of Pakland Cement was labelled the bankers’ sweetheart. Given their history, it was no surprise that when the company defaulted on its loans, 45 CEOs at various banks and leasing companies came together like jilted lovers in what was then Pakistan’s largest corporate debt restructuring. Tariq’s meteoric rise to being one of the top businessmen and his ability to take on established businesses was a repeated tale in corporate circles. An eccentric, uncompromising and, at times outrageous man, Tariq began his career journey from the Pakistan Air Force. He quit shortly. At home, he did not see eye-to-eye with his father – Senator Mohsin Siddiqui – and left home in the 1970s. Maybe that was the turning point and the entrepreneur inside him needed that. Tahir A Khan, CEO at Interflow Communications and widely believed to be Tariq’s lone confidant, recalls how Tariq began his journey. Pakland Cement was established in 1980 by Tariq’s father Senator Mohsin, who was a lawyer by profession. It was a time when most cement factories were managed by the State Cement Corporation and government officials obliged supporters with permits for new projects. Production lagged behind demand and there was need for projects in the private sector. General Ziaul Haq’s government issued permission to three projects including Cherat, Fecto and Pakland. Barring Pakland, the other two were backed by known business groups. How exactly Senator Mohsin got close to the ruling circle remains unclear. But he was a fairly established lawyer who enjoyed ties with a few generals and was also associated with Dalmia Cement. With a nameplate capacity of 567,000 tons per day, Pakland started production in 1984, becoming the first of the three sanctioned projects to take its product to the market. Located just outside Karachi near Port Qasim, its ordinary Portland cement and sulphate-resistant cement immediately captured Pakistan’s largest market. From the start, key decisions were taken by Tariq, M H Mistry and Mian Muhammad Abdullah. It was the country’s first dry-cement process plant, which consumed less fuel than the rest based on wet-processes. It was a state-of-the-art plant with a computerised quarry monitoring system and Ferguson’s financial management controls. A colony with school, mosque and other facilities was also established. Each graduate engineer was hired for Rs10,000 — 25% over the prevailing market rate. The company was listed on the stock exchange in 1988 with market capitalisation of Rs800 million. In the next five years, capitalisation rose 212% to Rs2.5 billion. Between 1991 and 1993, pre-tax profit increased 126.2% on a compound annual basis. Pakland was one of the best performing stocks. This happened despite a setback in 1990. 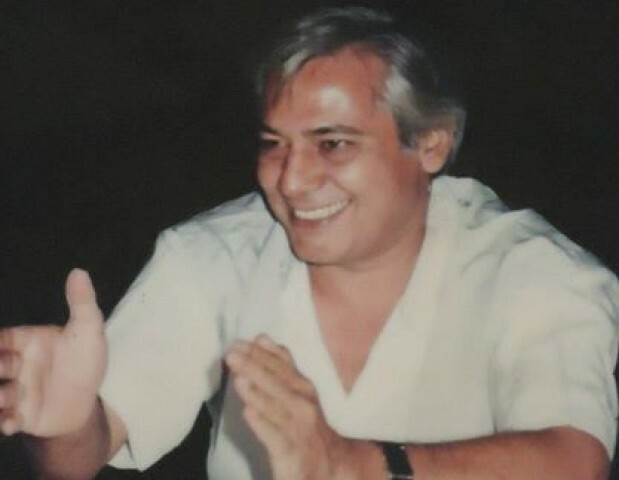 Senator Mohsin, affiliated with the then Mohajir Qaumi Movement (MQM), was gunned down near the party office as he headed there after attending an annual general meeting. The murder remains a mystery but people term it a case of mistaken identity. The incident did not slow down Tariq. Boasting a company that was generating cash and posting profits, he aimed to be the biggest. He then decided to be a part of the privatisation process of 1992. Pakistan’s cement industry is divided in two regions. In 1992, Mustekhum, DG Khan Cement, Fecto, Cherat and others were feeding markets in Punjab and Khyber-Pakhtunkhawa. Zeal Pak, Attock, Pakland and others catered to demand in Sindh and Balochistan. The year was a watershed for the industry. Some of the business families that were condemned by Zulfikar Ali Bhutto as robber barons resurfaced now. Tariq Saigol bought D G Khan, Mian Mansha became owner of Maple Leaf and Sikandar Jatoi got Zeal Pak, the country’s largest cement maker with a capacity of over 1 million tons. Tariq Mohsin Siddiqui was the highest bidder for DG Khan Cement, which the Saigols eventually bought for Rs1.9 billion. Government refused to share details of Tariq’s bid. “Under the Privatisation Commission (Confidentiality and Secrecy of Documents) Regulations 2003, sharing of information in respect of DG Khan Cement is not allowed,” the commission said in an emailed reply. As a matter of fact, consumption dropped in the southern market during that period as construction was stalled during the military crackdown on MQM, which retaliated with crippling strikes. “There was a time when Zeal Pak was selling its entire output in the north,” says Badruddin Fakhri, who worked with Pioneer for over two decades. But the high transportation cost left the south uncompetitive. Sales shot up after 2001 on the back of economic growth and foreign demand. In the next 10 years, production would jump 170%, from 10 million tons to 27 million. Exports would begin and companies would make billions. But, by then the Cement Prince had faded. In 1984, Pakland was financed by a loan of 128 million francs from the National Development Finance Corporation (NDFC), which along with PICIC and Bankers Equity, financed industrial projects. In 1992, Pakland was in the final stages of setting up a paper mill. It was also the first company to seriously consider the potential of cement exports. “We had even bought some land in Chittagong and work on a jetty also started,” said Mistry. Besides paying off the loan, the company was aggressively investing in capacity enhancement as well. Everything was in control. Or so it seemed. Up until the mid 90s, construction of roads and other development projects necessitated imports. But as capacity was added, cement makers vied to protect their geographical markets. Tariq might not have succeeded in getting DG Khan but he and his team knew the importance of having a plant in the north. In 1993, they took a bold step, a business decision ahead of its time. It was the same move which a few years later would make Lucky Cement a cash cow. The government had offered a sales tax holiday in Hattar Industrial Estate, located in Haripur district to encourage industrial development. Pakland mobilised initial funds, hired consultants and went ahead. Pakland invested Rs800 million in Saadi. Civil works and basic engineering was undertaken by local contractors, giving it a cost-advantage over competitors, who were also expanding production. But, by the time the plant and machinery from Romania reached port, government revoked the sales tax exemption, disturbing the entire financial projection. If this was not enough, a well-known politician made demands for bribe. When Tariq refused, every conceivable problem was created for the project. Roads were blocked, locals were instigated against contractors and, finally, a firing incident that claimed 11 lives made matters worse if they were not already. Tariq’s friends and associates advised him to pay the bribe. “He could have easily paid to shut the opposition. But he was willing to go down instead of doing business the way politicians wanted,” said a former colleague. The delay in completion of Saadi snowballed into problems for Pakland as well. Pakland was investing heavily to add another production line at its existing plant at Dhabeji. It was aiming to become the biggest by mid 1996 with a capacity of over 1 million tons. Initially, Tariq had also targeted 1996 as the year when production from Saadi would begin. As problems mounted, the target date was extended to the second quarter of 1997. The deadline kept overshooting every year after that. While the plant did not generate revenue, interest was piling on the loans. It was a financial trap from which only the shrewdest or well-connected businessmen could rise. The credit-related problems were obvious in financial statements. In just six months to June 1996, obligations under finance lease soared 475%, from Rs83 million in the previous year to Rs478 million. During the same period, it borrowed Rs580 million to complete work on Saadi. Repayment of some loans like the Rs250 million from a syndicate of Citibank, Standard Chartered, Askari and others had already started in November 1995. Saadi was still six years from actual production. In 1996-97, the time period, originally marked as completion for the project, turned out to be tough on financial institutions as well as economies in the Far East were in a crisis. Commercial banks were least interested in long-term projects. On the other hand, the government had limited the role of development financial institutions, a decision which in the coming years almost stalled industrial expansion. “We needed money to complete work but options were limited. In 1997, the stock market crashed. We couldn’t list Saadi. After that there was little we could do,” said Mistry. With money and running finance being causes of concern, a huge role was played by the leasing and modaraba companies. Al-Zamin Leasing, Askari Leasing, Atlas Lease, First Crescent, Ibrahim Leasing, Lease Pak, Long Term Venture Capital Modaraba, Dawood Leasing, Orix Leasing, Paramount Leasing among others were included in the list. By that time Pakland’s running finances were completely stopped and it was forced to reschedule total loans of Rs4.829 billion in 2001 — 50 banks and other financial institutions were in the list of lenders. Saadi was still not completed. The biggest lenders included National Development Finance Corporation, National Development Leasing Corporation, Al-Faysal Investment Bank, Standard Chartered, Faysal Bank, Askari Leasing and Union Bank. Everyone was ready to give him money in the good days. But now, each one of them was now forcing Tariq to liquidate Pakland. The way Pakistan’s financial system started to operate from the mid 90s became an important contributor to not only Pakland’s demise but others as well. “Commercial banks had little interest in long-term project financing. However, in any case, you don’t lend long term on current deposits,” said a former Securities and Exchange Commission of Pakistan (SECP) official. The major chunk of Pakland’s debt came from state-owned development financial institutions, which were slowly being wrapped up by the government as it paved the way for private banks. Nepotism and political lending increased non-performing loans of these organisations but there was no alternate for investors like Tariq who were not part of any ‘baradri’ to secure financing from elsewhere. So the situation was ideal to exploit. The paid up capital of leasing companies was Rs200 million but their exposure was two or three times the amount. They borrowed from banks and then leased assets aggressively to defer taxes. Pakland was paying rentals on a monthly basis, which had bloated its finance cost to unmanageable proportions. Pressure mounted to pay back the money but no one could foresee the growth in cement industry that was about to happen. It’s no coincidence that out of the dozens of leasing firms only eight have survived and just three are actually making money. Tariq sold his personal assets – an apartment in London, another one in Paris – to salvage Pakland. This is when desperation set in to keep the credit lines open. One particular case related to this financial dilemma has caught everyone’s attention. Through another company, Tariq owned a 6,650 square yard-plot located along Main Shahrah-e-Faisal near Drig Road. In 1999, Military Lands and Cantonment had priced it at Rs399 million, according to court filings. Since he needed the cash, Tariq sold the plot to a bank for Rs35 million under a buyback arrangement, which specified that the property would be returned once the outstanding loan is settled. Instead the bank laid claim over the property. The case is still pending. As delays in project enhancement piled interest over the company, working capital lines were choked. The largest rescheduling of loans in Pakistan’s history was finalised on September 4, 2001. The debt was to be repaid over the next nine years. Banks also agreed to give an additional financing of Rs150 million to complete Saadi and the second line at Pakland. But this installment never took place and the company was run on a lifeline of small working capital injections until it was bought off in 2004. Almost every senior cement industry official has heard at least one story. The Express Tribune took particular care in verifying the following information from three firsthand sources. A handsome man who was always immaculately dressed, his heart was mighty too. For two consecutive years, he sent 500 people for Hajj – all expenses paid by him. His management style was not just different, it was unique. As a matter of policy, everyone in office was required to spend some time in the sunshine. It was ‘mandatory’ to wear Shalwar Kameez on Fridays and casual on Saturdays. A dysfunctional family also took toll on Tariq. Out of the five siblings, one brother and the only sister committed suicide. Tariq himself believed he was poisoned. His paranoia reached such a level that a servant remained with him all the time to taste tea and food for a sign of poisoning. After losing substantial wealth, his peace came in 2004. Financial institutions were seeking liquidation of Pakland and some groups were waiting to buy the company cheaply. Somehow, Yousuf Dewan, the scion of the Dewan Mushtaq Group, got hold of the development. The two met and the deal was sealed. Yousuf bought Pakland for Rs1.1 billion including all its debt. Tariq went into seclusion, cutting himself off after cancer got hold of his health. He died entrusting his entire wealth to the Pakland Trust for charitable purposes. Published in The Express Tribune, March 31st, 2014. Iqbal’s contacts, resources help him. How one LPG project pitted the owner against everyone else. Bill recovery and area threats are seen as some of its biggest hurdles. Led by Gauhar, company manages to plug annual financial haemorrhage of Rs15b. Thank you for this. Very interesting to know that certain industrialists were and are ahead of their time, even in Pakistan. Had he been in the West, Siddiqui might well have been feted as a great leader. Unfortunately, being in Pakistan, he had to face the issues that he did including the asking of bribes which basically wrecked his company. Would the person who asked for the bribe be a widower and former cinema owner ? Please also put a picture of the guy next time. ET keep them coming! Real HQ stuff. Very well written. Thank you so much for letting this generation to know abt the past of big companies, people behind them, their struggle and reasons for the collapse. In our country, Government and Politicians were, are and will be never ever faithful with the betterment of the country and its people. Please re-read the article “If this was not enough, a well-known politician made demands for bribe.” This was the era of 1993-96 when the then “Environment Minister” used to demand his share in each & every project in Pakistan. That is why he was called Mr. 10%. Ultimately, his government was dissolved in September 1996 on the charges of Corruption. ET, slight correction please: Mian Mansha is the owner of DG Khan Cement and Tariq Saigol is the owner of Maple Leaf Cement, not the other way round mentioned in your article. DGKC was bought by Tariq Saeed Saigol/Kohinoor Textile Mills (for Rs 1,799 million) and Maple Leaf by Mian Masha/Nishat Mills (for Rs 291 million) DURING Privatization. However, few months after taking control of DGKC Saigol sold it to Mansha and Mansha sold Maple Leaf to Saigol. @Nida Alvi: Thank you for the feedback but your information is incorrect. Mian Mansha had bought Maple Leaf and D G Khan went to Saigols in the 1992 privatization. Then within months the two exchanged the companies. No one knows why that happened. @Nida Alvi: PMLN is a business friendly government but only for his own Baradari. This is an excerpt from the article which mentions Baradari read and answer few questions. Q1: When PMLN took over from Corruption friendly PPP, why did not a business friendly PMLN government help the company from going into trouble? This is what Urdu Speaking minorities of Pakistan had to go through in the 1990s. My statement above was referring to circa 1990 – 1999, when PMLN and PPP were taking turns to financially and Phyiscally Harm the community of Urdu Speakers. PPP operations of 1988, PMLN operation in 1992 and 1997 were the glaring example of Government misuse of power. It is against Human Rights to collectively punish a the Urdu Speaking Population of Pakistan because there are few criminals. Today PMLN is talking to Taliban but in 1992 no talk just operation. Your excessive usage of parochialism & ethnicism proves your allegiance to a political party of Karachi which has been part of different governments during the last 17 out of 28 years since 1986. It has been hands-in-glove with the most corrupt regime in the history of Pakistan. One of its loyalist members has been Governor of its province for the past 12 years (a unique record for any Governor or President in Pakistan!). I am Urdu speaking but never-ever endorse the ethnic slogans raised by London-based self-exiled leader. Our ancestors built Pakistan to make it a great country & model for the World rather than to let it suffer from division or hate speech by detractors. I will request ET to continue to report similar stories of corporate grandeur in Pakistan and what lessons can be drawn to avoid repeating those mistakes in future. He had TWO sisters. One is still alive. Please check your facts. He was indeed a great man. The world lost one of the best. My uncle lost his life in the firing incident on Pakland employees’ van. It is so unfortunate that young professionals fell victim to conflict between politics & business. It is also sad to see that the organization for which 11 lives were lost, could not thrive.